Watch the Latest Video Update! For over 100 years the West Coast Chamber has served as a beacon for the community, providing advocacy, leadership, and support to help area businesses prosper - and we never stop looking ahead. The Chamber's Holland office building at 272 E. 8th Street on the Eastern Gateway of the City of Holland, has served the Chamber well for the past 25 years, but is now in need of significant maintenance. 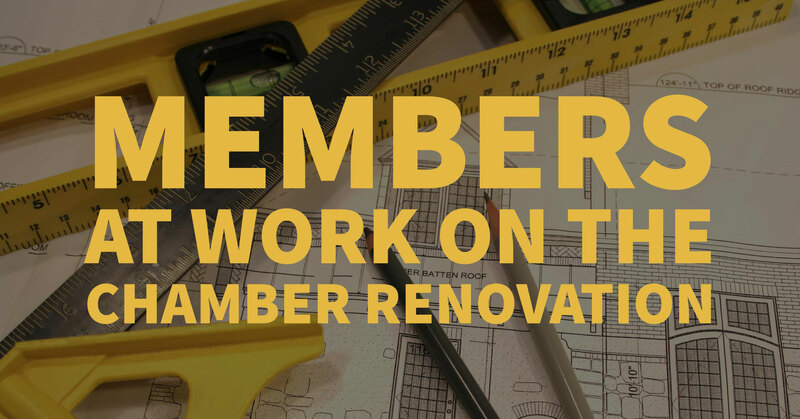 After reviewing many options, the Chamber Board unanimously approved a “Robust Renovation” plan, creating a space that projects positive image and welcoming “front door” for current and future employers, residents and visitors, and reflects our area as a vibrant and inviting community. This space will not only reflect our vibrancy on the outside, complete with a front yard green, but will also feature a large meeting space, or Learning Lab, enabling us to host additional professional development programs at our own facility, complete with state-of-the-art technology for both the meeting space and staff efficiency. Designed to allow flexibility for the future, the new space will allow us to continue to serve our members throughout the changing landscape of business. Big Plans for the WCC Remodel! Find more details on our CASE STATEMENT, complete with architectural renderings. We are ready to share the plans for this space with you, and to invite you to join us in this exciting project! Taking our remodeled facility to the next level can be done with your support! Most of the anticipated costs will come from the Chamber’s reserves, but we are seeking partners to come on board to help enhance this project. 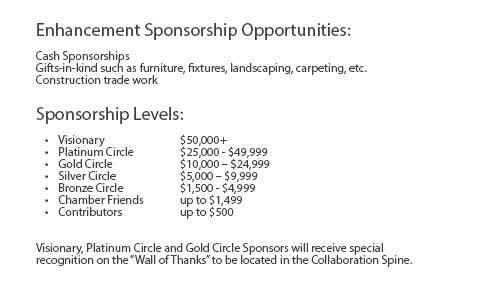 Additional sponsorship from our member firms will help make this a facility of which the entire community can be proud.